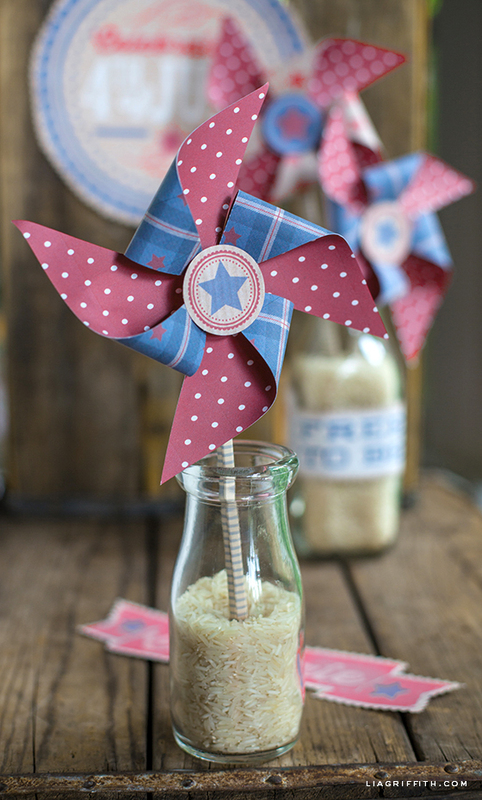 A few of you have requested a printable version of the paper pinwheels that were used for the Vintage Fourth of July celebration. . . so here they are! 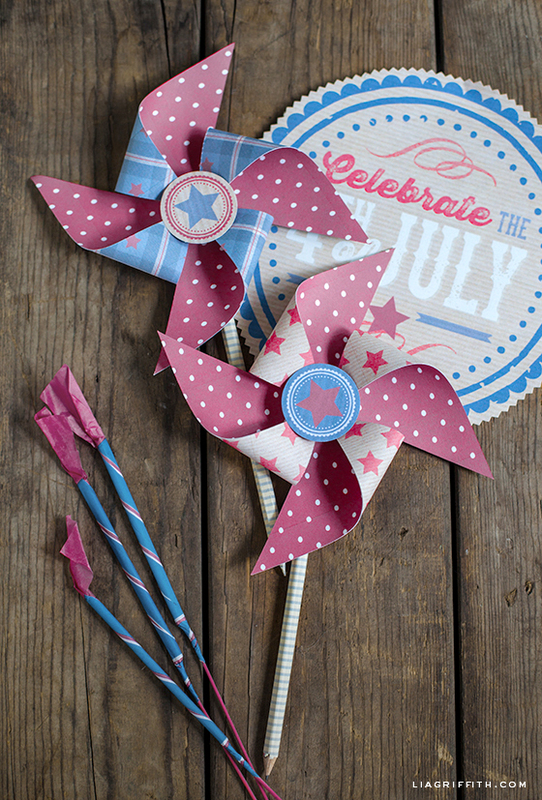 To make your own Fourth of July pinwheels, begin by downloading and printing the patterned papers. You can print onto either text weight paper or white card stock. Card stock will be a little heftier, so I prefer using it for paper decorations. 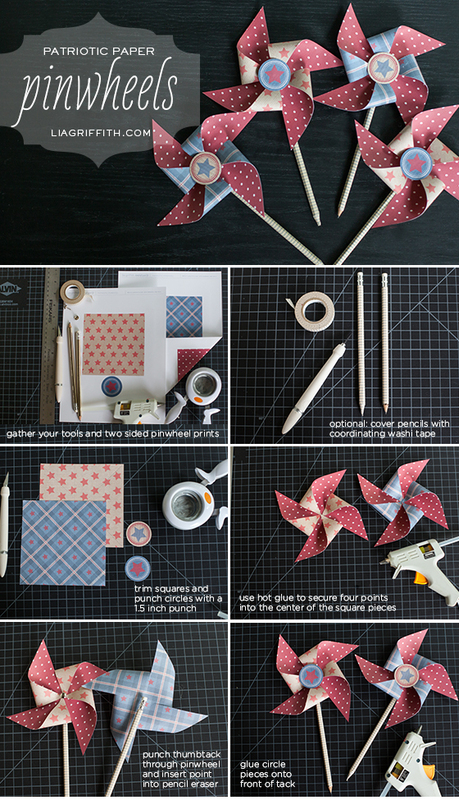 I attached the paper pinwheels to a pencil with a push pin to allow the pinwheel to spin. Remember making these in grade school? I’m feeling nostalgic just thinking about it! Thanks for sharing! I’m going to stick them in the flower pot by my front door. Happy 4th! Love that idea! 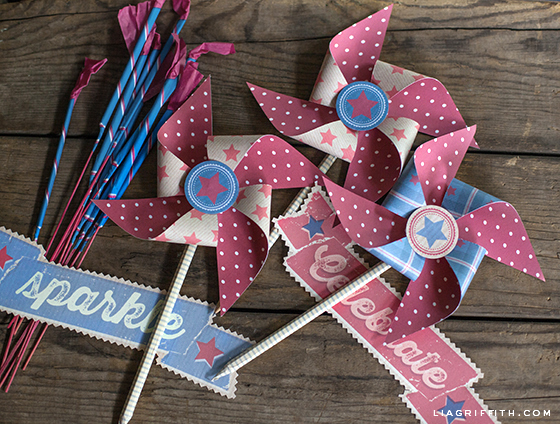 Make sure to check back what I am posting today because the go well with these pinwheels. Thanks for all of the pins! You are the best!! These are so cute. Thank you for sharing them with us. And that right there makes me happy! Thanks for you sweet comments Kathy.